Star Trek Into Darkness — Filmpaint Inc. Created a few iterations for this shot in order to get the look and feel of the chase sequence. First look dev painting for the sequence. After the work of amazingly talented Greg Szafranski. 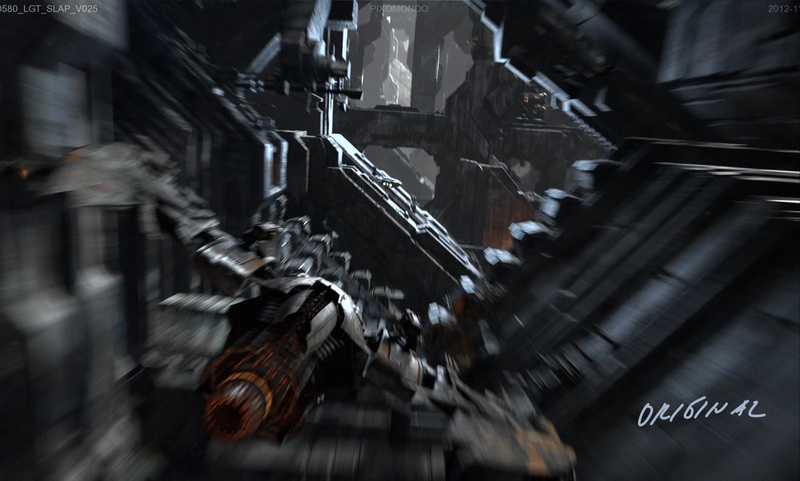 Pixomondo's Kronos chase Sequence that got us nominated for the VES awards. Industrial Light & Magic visual effect breakdown. What did you think of the new look of the Klingon planet? It should have paid more reference to the original Kronos designs! I dig the new designs, I like what you did with the place! In the story the Klingon planet was dying. Did we get that across?